Title Y-1 - Enacted Without Title Heading. New York criminal cases often happen when something happens that catches the attention of law enforcement. This could be a report from another person or direct observation by a police officer. Once the police have information that a crime was potentially committed, they can investigate and make an arrest. New York criminal law has a direct impact on criminal investigations because it defines what crime is and what elements must be present for an arrest to take place. For example, criminal procedure governs the way that a police officer may interrogate suspects and conduct a search. Criminal law tells you whether a crime has been committed and what evidence is relevant. In New York, law enforcement is generally comprised of the police who investigate crimes and the prosecutor who files charges against the accused. The police can work for a local police department such as the NYPD or for the State of New York. Prosecutors can also work for a local elected District Attorney or for the State at the Office of the Attorney General. The police and prosecutor generally have discretion to hold someone accountable, or let them go. Public pressure generally guides this discretion. While the public generally applauds the police for making an arrest in a highly publicized murder case, the public would find a jay-walking arrest outrageous. Whether or not the police or prosecutor should be involved in a particular suspect’s life depends greatly on the letter of the law. If something upsetting happened, but even one single element out of ten is missing, no arrest or prosecution should happen. The law must be rigidly obeyed, especially in the context of criminal law when the consequences can include a sentence of life in prison or the death penalty (in applicable states). In New York, criminal law can be thought of as including the penal law, the criminal procedure law, certain parts of the vehicle and traffic law, and various local regulations such as the administrative code. For the most part, if you’re researching a criminal activity in New York, the penal law is where you should start. 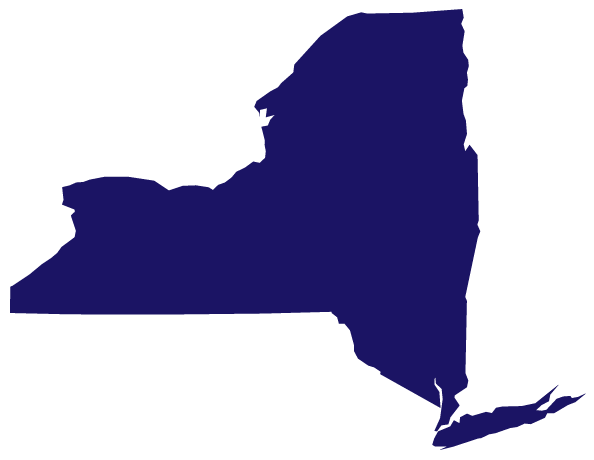 The New York Penal Law is divided into parts, titles, articles, and individual laws. Early human laws existed as one single set of rules. The first signs of a criminal code emerged in early English law which was later brought to its colony, New York. From New York’s beginning in 1613, criminal matters initially dealt with capital offenses and immoralities but didn’t have detailed and specific codes. In fact, criminal laws in New York weren’t published until 1694. In 1796, the colonial laws of New York were replaced with the Laws of New York, of which the Penal Law became a chapter. This website is for educational purposes only and should not be used as a substitute for independent legal research. CriminalLawsNY.com does not provide legal advice or legal services. Please click for additional information. None of the information on this website should be taken as legal advice. The information provided on this website is not intended to create, and receipt or viewing does not constitute, an attorney-client relationship. Please consult with an attorney prior to making any legal decisions. CriminalLawsNY.com does not provide legal advice, legal opinion, or legal services. The contents of the CriminalLawsNY.com website such as text, graphics, images, and other material are for informational purposes only and not intended to be a substitute for professional legal advice. Don’t avoid professional legal advice or delay speaking with an attorney because of something you have read on CriminalLawsNY.com. Reliance on any information provided by CriminalLawsNY.com, CriminalLawsNY.com employees, others appearing on the CriminalLawsNY.com at the invitation of CriminalLawsNY.com, or other visitors to CriminalLawsNY.com is solely at your own risk. The information on CriminalLawsNY.com including the content is provided on as “as is” basis. CriminalLawsNY.com does not provide any warranty of this website whatsoever, whether express, implied, or statutory, including, but not limited to, any warranty of merchantability or fitness for a particular purpose or any warranty that the contents of the item will be error-free. In no respect shall CriminalLawsNY.com incur any liability for any damages, including, but not limited to, direct, indirect, special, or consequential damages arising out of, resulting from, or in any way connected to the use of CriminalLawsNY.com, whether or not based upon warranty, contract, tort, or otherwise; whether or not injury was sustained by persons or property or otherwise; and whether or not loss was sustained from, or arose out of, the results of, CriminalLawsNY.com, or any services that may be provided by CriminalLawsNY.com. You agree to use CriminalLawsNY.com at your own risk and will verify any answer given with sufficient independent legal research. By viewing any of the pages or any of the information contained in CriminalLawsNY.com, you agree to these terms and do so at your own risk. Title Y-1 – Enacted Without Title Heading.